Although Earth is the only planet that harvests life -as far as we know- there are 7 other planets in our solar system. There used to be 8, but Pluto lost its status as a planet for the simple fact it was too tiny. Small rocks in space don’t deserve to be called a planet. Each of the planets in our solar system has some unique feature. Some have many moons, the other is red. Earth obviously is colorful with its oceans, landmasses, and atmosphere. But then there’s Saturn. Saturn is different than any other planet and you’ll easily recognise it. This planet is known for its rings that circle around it. You can see Saturn with the naked eye when staring at the stars in the sky. That is quite remarkable as the distance of this planet from the Sun is a staggering 1.4 billion kilometers. Its orbit around the Sun is a massive trip, and it takes 29.4 years to complete. The main reason that Saturn is visible is because of its size. The diameter of Saturn is 116.464 kilometers, compared to the 12.742 kilometers of Earth. This means the mass of Saturn is 95 earths. This is why Saturn is the fifth clearest object you see when stargazing. The most remarkable feature of Saturn is its massive rings. These rings are made of ice and dust. They stretch out to as much as 120.000 kilometers from the surface of Saturn. But the rings are extremely thin. They are no more than 20 metres thick. For a long time it was believed that there were 4 rings, but ever since the Voyager spacecraft flew past in 1980 we know that those big rings are actually thousands of smaller rings. Besides the rings, Saturn has a lot of moons and moonlets. Moonlets are too small to be called moons. 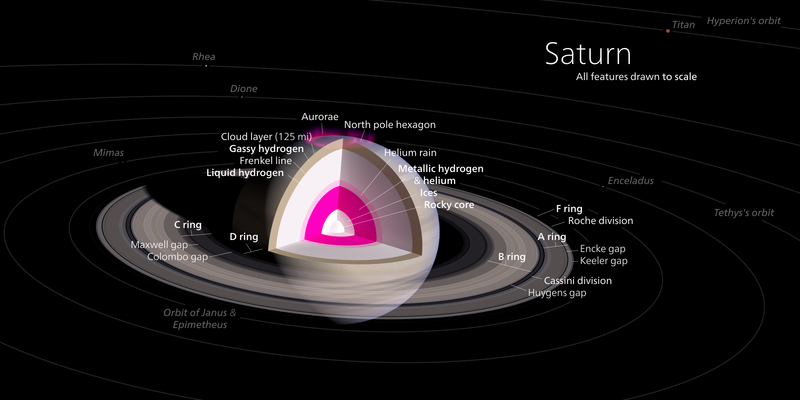 All together there are 150 objects orbiting Saturn. The name Saturn comes from Saturnus, the Roman god. He was the god of wealth, agriculture, time, and liberation. 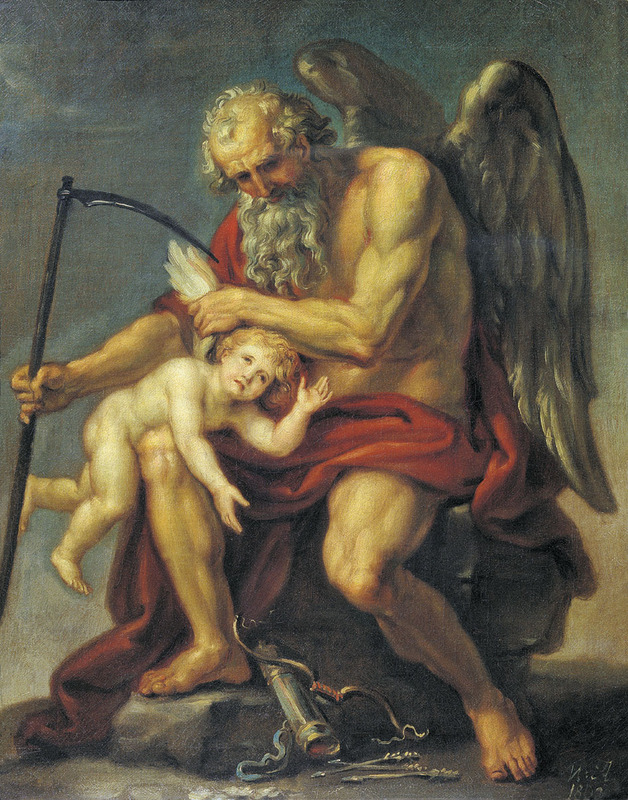 Saturnus was quite a complex god and according to some historians, he was the second most important god after Jupiter. Saturn was first discovered long before the Romans ruled the world. This planet was first mentioned by the Assyrians in the 8th century BC. Saturn is the planet of hard work and discipline. This means Saturn brings structure to our lives. It reminds us of our boundaries and limits and this keeps our lives in check. Without Saturn our lives would become chaotic and uncontrollable. So it might not seem glamorous, but we can thank our lucky stars that Saturn is there to keep us with both feet on the ground. Saturn visits each zodiac sign for about 2,5 years. It is said to rule the constellations Capricorn and Aquarius all the time, even when we can find saturn in a different star sign.